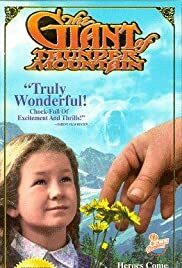 A reclusive giant who lives on Thunder Mountain is falsely accused and pursued by people of a small western frontier town for kidnapping three children of the town. Anyone who thinks of Richard Kiel as simply a James Bond nemesis with metal teeth should see this, a film in which he stars as the victim of fearful people jumping to conclusions about those who are a little bit different than themselves. 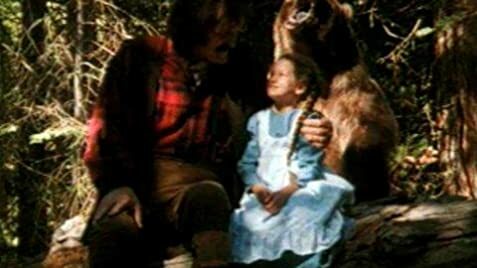 His tender relationship with the child Amy evokes similar scenes between the Frankenstein monster and another small but fearless little girl. This is a fine drama for kids -- well written, acted and produced -- although the ending, while moving, is a bit of a letdown. Ellen Crawford makes the most of her limited screen time; one wishes, though, her role had been bigger. Not quite sure why this film was rated PG; it's clearly a G, not unlike a lot of the best family movies of the pre-ratings era.